What might have been. Rapid Transit in Philadelphia. 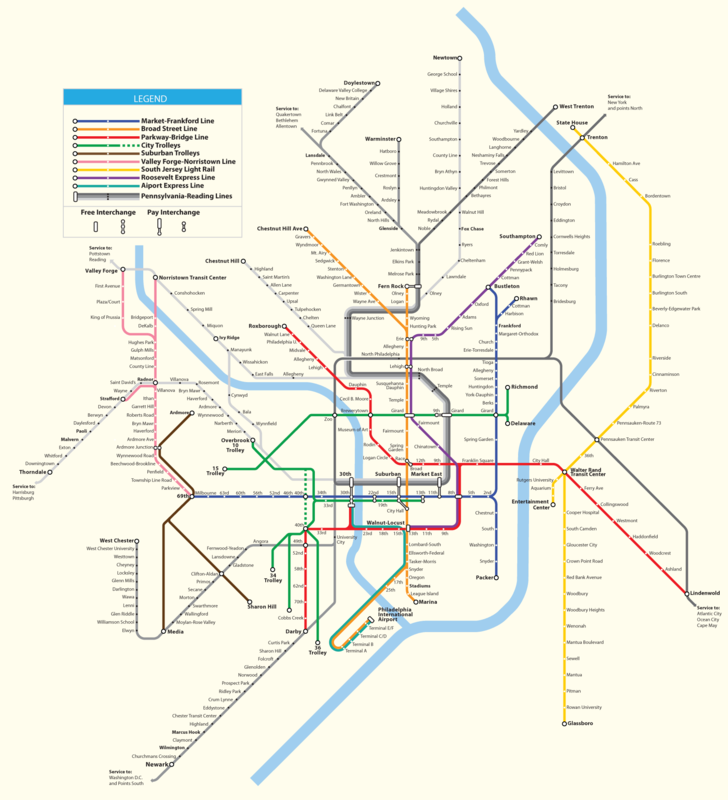 Map shows regional transit in and through-routing. Regional transit lines are extended to former lengths, including West Chester and Newtown. Chestnut Hill East line converted to rapid transit branch of Broad Street Line. One seat ride from 30th Street Station to Philadelphia International Airport. PATCO extended to 30th Street Station and through to Darby. Glassboro extension of River Line shown. Line runs up Roosevelt Boulevard. Norristown High Speed Line gets extension to Valley Forge, branch to Strafford rebuilt. Ardmore Trolley Line never removed. Why Can’t Roosevelt Boulevard Ave Look Like This? Why Isn’t There a Stop Between 15th and 30th Street on the Market Frankford Line?